ThePeopleChoose.org is the premier political video site in the nation. It is the go-to site for journalists and activists tracking the elections. If your volunteers upload their poll watching videos on election nite or email them to us if they are using cellphone cams), we will post them on the front page of our live web election cover page where they will be seen immediately by journalists nationwide. According to Greg Palast, the nasty little secret of American democracy is that, in every national election, over a million ballots cast are simply thrown in the garbage. Vote spoilage occurs in two ways -- overvotes and undervotes. An "overvote" occurs when someone votes for more candidates than allowed in a particular race. In this case, the particular race is invalidated but not the entire ballot. Overvotes can only occur with paper ballot voting systems such as punch card and optical scan. An example is if a voter makes a mistake or changes her/his mind about a candidate in a race, crosses out a vote, and clearly marks a vote for another candidate in that race. An "undervote" occurs when someone votes for fewer candidates in a race than allowed, such as leaving a particular race blank. This is every voter's right. With an undervote, no ballot or vote is canceled -- or supposed to be. In punch card systems, undervotes can occur with old or poorly maintained machines that create hanging, dimpled and "pregnant" chads. 1. Fight for what democracy stands for -- a society where every citizen's vote is sacred. 2. Fight for voter intent laws in states that don't currently have them. 3. In filling out a paper ballot or punching a punch card ballot, ensure your ballot is as clear and readable as possible and without any extra marks that could cause your ballot to be set aside and tossed in the trash. 4. The best election observation is or can be done by pollworkers. Protect election integrity from inside the system by signing up to be a pollworker. 5. 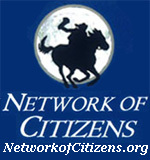 Download the Citizen Action Page and take action to stop crimes against Democracy. Democracy: Can We Keep It? THANK YOU FOR HELPING TO SAFEGUARD OUR DEMOCRACY! Watch The important documentary film, "Hacking Democracy", Hacking Democracy" exposes and chronicles the role computer based voting machines and vote tabulation equipment are playing in facilitating election fraud and vote rigging in US elections. The important documentary film, "Hacking Democracy", "Hacking Democracy" exposes and chronicles the role computer based voting machines and vote tabulation equipment are playing in facilitating election fraud and vote rigging in US elections. When: Thursday, November 2, 2006, 10 a.m.
Karen Renick, founder and Director of Austin-based election reform group VoteRescue, will speak on how our state elections leaders have been warned and informed about e-voting fraud, and yet continue to proceed with elections on November 7th using dangerous electronic voting equipment which cannot be guaranteed to count votes as cast and is vulnerable to hacking and fraud. Vickie Karp, PR Director of VoteRescue, Board Member of Black Box Voting, National Chair of the Coalition for Visible Ballots, and co-editor of "HACKED! High Tech Election Theft in America" will detail expert studies given to our Secretary of State Roger Williams which validate the threat of all the electronic voting systems used in Texas. Kathleen Wynne, former Associate Director of Black Box Voting, will detail investigations she helped execute which proved electronic voting to be "faster to hack", easy for flipping election results" and "less secure" for voters. Citizens will be encouraged to vote and document evidence of Election Day irregularities.